One of our favorite ways of improving our diet is to come up with healthy versions of our favorite meals. Pizza, pasta, ice cream - none of them have to be cut out if you want to get a leaner and healthier body. Today, and in our upcoming recipe articles, we want to share with you some of our best tips on how to make traditional comfort foods healthy, plant-strong, and weight loss friendly! Because we’re not about deprivation and restriction here. Following a healthy lifestyle should be fun and the good results just follow. So, how can a rich and calorie dense dish like pasta and meatballs be made in a healthier way? Our twist on the traditional Italian recipe here offers a few ideas for little improvements you can try one at a time to step up your game - or just go all in and follow the exact recipe to a T.
Keep on reading to find out how we did this. Introducing: zoodles! Never heard of them? Well, they are zucchini noodles or zucchini pasta made by spiralizing zucchini. To be totally fair, they are not 100% “like the real thing” and replicate traditional pasta more visually than texture-wise. But still, there are a couple of interesting reasons why you might want to give these a try! First of all, it’s always a good idea to sneak some more veggies into your meals. We agree on that, right? Zucchini is a great vegetable to choose, in our opinion, due to its mild flavor and versatility. Especially once they are soaked in a sauce, they taste completely neutral! And the can be utilized in so many different ways: From zucchini pasta to boats, oven-baked veggie chips or even zucchini breakfast oats… we love all things zucchini. Please don’t get us wrong and think that the “bad carbs” in a traditional pasta dish have to be replaced to be slim and healthy. Not at all! While it’s true that zoodles are a great way to have a pasta-ish dish ready in a couple of minutes and they are a wholesome replacement for those who cannot have gluten, we don’t mean to imply that flour pasta per se is a bad idea. 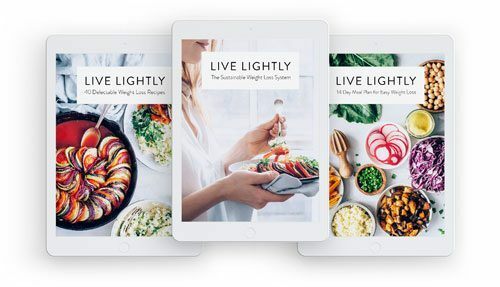 Because even though the internet is full of “cut the carbs” messages, we’re here to shine a light on what a healthy diet looks like and do something about the bad rep carbs have been getting. In fact, a diet rich in complex carbs and wholesome starches, like potatoes, pumpkin, oats, rice, and whole grains is what keeps people at a normal body weight and ensures stable energy throughout the day. And if you check out the recipe for the black bean meatballs below, you’ll find that they are anything but low-carb. Their main ingredients, apart from the beans that are actually higher in carbs than in protein, are oats, and vegetables. Meatless, carby, chewy, and nutrient-rich goodness! We just thought that a trendy twist along with the lower calorie density and improved satiety of the whole dish would be something you’re interested in. And we quite like the different texture compared to flour pasta from time to time. If you’re intrigued and would like to try making zoodles, here’s what you need. 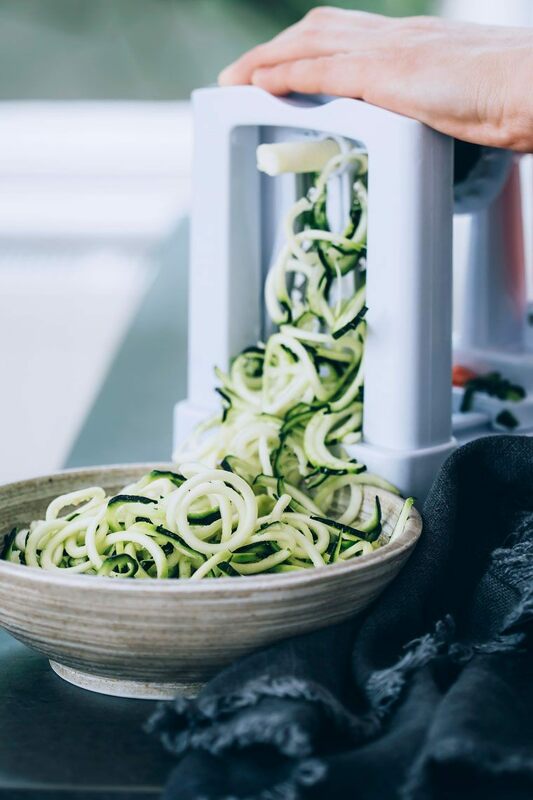 Usually, zucchini noodles are made using a spiralizer which come in fancier and more simple versions. But you don’t need to own one of these to make your first zucchini noodles! Simply take a julienne peeler and apply light pressure along the sides of the zucchini to create the noodles. Have a hand grater at home? You can make shorter, flatter noodle stripes out of the zucchini with it. Another idea is to cut lengthwise slices from the zucchini using a vegetable peeler which will give you wider noodles. You can go ahead and eat them raw with a dressing as a pasta salad if you like - no matter their shape. If you combine them with some marinara (as we did), you can drown the noodles in the warm sauce and have it semi-cooked this way. The zoodles will become soft after a couple of minutes. If you like them to be more thoroughly cooked, throw them in hot water for 1-2 minutes. This isn’t a fool-proof method, though, and we cannot promise that you won’t be left with a couple of soggy noodles. Finally, why not include your kids here? They will probably have lots of fun spiralizing or peeling their own zoodles. If you’re not keen on the idea of having your pasta being made out of zucchini, just go ahead and make the black bean meatballs with marinara, then serve it over regular pasta. Going meatless is a great first step here! Or combine some whole grain noodles and zoodles on your plate to ease into things. As for the black bean meatballs, there are a few ways to adjust these to your taste preferences or ingredients you find at home. You can pretty much use any bean you wish here, we personally just like using the black ones. 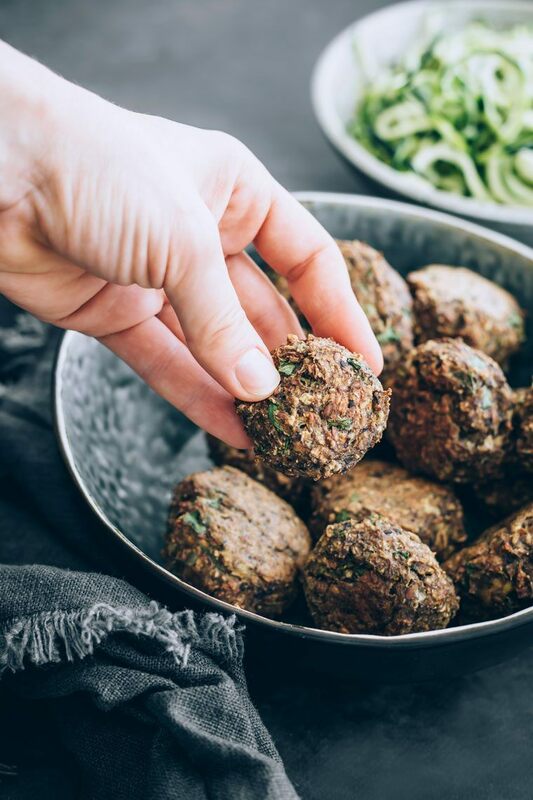 If you don’t want to have mushrooms or carrots in your meatballs, you can replace them with other finely chopped veggies or just up the amount of beans and oats. 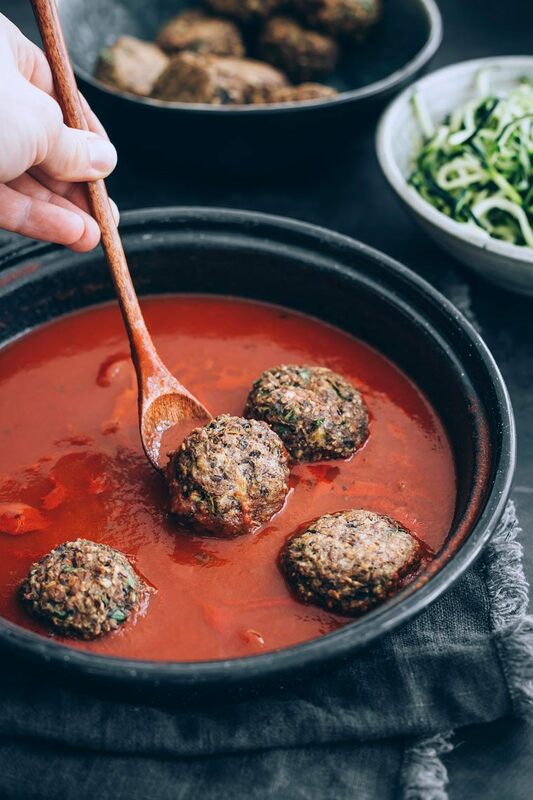 In addition to being fairly simple, these vegan meatballs are also packed with plant protein and fiber, making them a nutritious option to have on the meal plan. You can even prep them ahead of time so that they’re ready to bake and serve on a busy weeknight. This recipe is just one of the many delectable plant-based dishes in our brand new 14-day meal plan of “the Sustainable Weight Loss System” we've just released! It’s full of healthier and slimming versions of known comfort meals that are whipped up in around 30 minutes and planned out in a way to not only save you some time but also ensure effortless weight loss. These meatless black bean meatballs are so chewy and satiating! In combination with crunchy zoodles and warm marinara sauce, it's the perfect healthy Italian comfort meal. Preheat your oven to 350°F/180°C and line a large baking sheet with a piece of parchment paper. In the bowl of a food processor, combine black beans, mushrooms, carrots, oats, parsley, thyme, smoked paprika, and garlic powder. Process until a crumbly dough forms and season with a good pinch of salt and pepper. Add in the soy sauce and flax egg; pulse until just incorporated. Form the mixture into small balls – you should get around 14-16 meatballs. Place meatballs onto the prepared baking sheet, making sure they are not touching each other, and roast for 20 minutes, flipping once halfway through. While the meatballs are roasting, add onion, garlic, and tomato paste into a medium saucepan and place over medium heat. Season with a good pinch of salt and pepper and cook until the onions are soft and fragrant, around 4-5 minutes. Add in crushed tomatoes, oregano, red pepper flakes; bring heat down to low and let the marinara simmer away for 10-15 minutes, or until the meatballs are done. Gently submerge the meatballs in the sauce and cook just until the sauce starts to bubble, around 2-3-minutes. Remove from heat and stir in fresh basil. 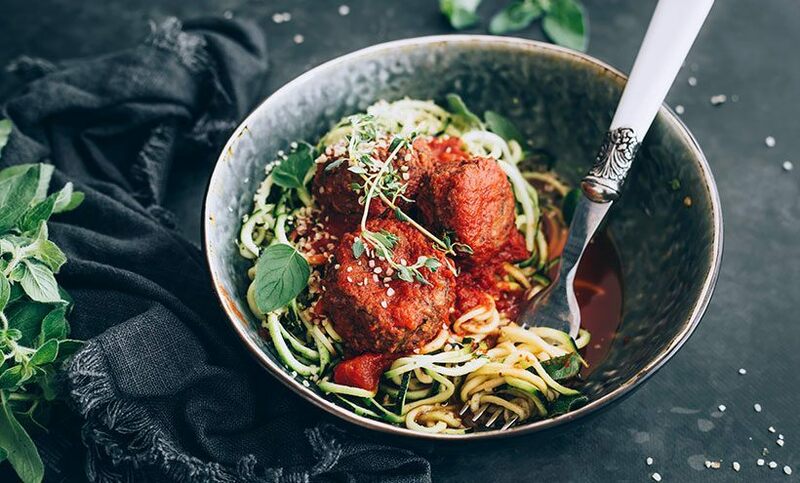 Serve the meatballs and herbed marinara over zoodles (zucchini noodles) and top with nutritional yeast. Enjoy! This looks so delicious and I can’t wait to try it!! I just wanted to mention that the recipe claims to be naturally gluten free. However, someone new to eating gluten free might not realize that most oats and soy sauce contain gluten, unless they specifically state that they are gluten free. thanks for checking in! And you’re totally right, soy sauce is definitely made with wheat and not all oats are 100% gf (though it does the job for most who avoid it without having celiac disease or an allergy). Will definitely correct that! yummy, it looks delicious, I want to make this recipe on my husband birthday, thanks for sharing this recipe. wonderful, hope you guys will enjoy it!